Louis Wayne Cole, 66, was born Dec. 7, 1947, in Magnolia, Texas. Louis passed away early morning of July 5, 2014. Ronda Cole, his loving wife of 32 years, was at his side at the time of his passing. 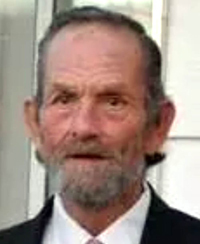 He is survived by his children: Jimmy Weaver, Patricia Angel, Lonnie Cole, Robert Cole, Bobby Angel and Patrick Cole, as well as his eight loving grandchildren. Louis is also survived by his loving pooch-hound Lila. Louis was an avid outdoorsman and his family knows he is now in his happy hunting grounds. He is loved beyond words and will be missed greatly. Donations for the family will be greatly appreciated and accepted to help support them at this time. Please contact Heather at 208) 721-7337 for donation information. Services will be held at 9:30 a.m. Friday, July 11, 2014. at the Wood River Chapel. Friends may leave a message for the family, share a photo or light a candle at www.woodriverchapel.com.